Dinners during the cooler months can seem repetitive and boring. How many times can you put ground beef on the dinner table before there is an upheaval? Summer is an awesome time to try out new recipes and experiment with new menu items and gluten free ingredients especially with all the fresh produce available at your local farmer's market. So take this opportunity to liven things up and impress the family. Take advantage of our list of 12 Summer Gluten Free Dinners to Try and revitalize your inner-chef. These are some of the simplest recipes to ensure that you have plenty of time to enjoy your summer without having to abandon homemade meals all together. Give the kids plenty of energy with these protein packed dinners so they'll be satisfied after a long day of camp or ready to go for the next t-ball game. With a convenient collection of gluten free dinners, play around with different proteins, herbs, and produce to liven up the dinner table and the people sitting around it. 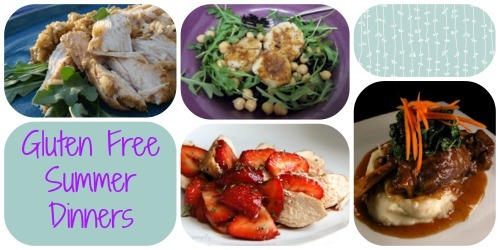 Poke around FaveGlutenFreeRecipes for more great ways to amp up the summer the gluten free way. Easy Poached Chicken- This is one of those meals for a night when the kids ask how much longer until dinner. This is a nutritious gluten free dinner that is kid friendly and is done in under 30 minutes. 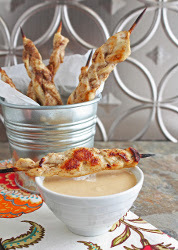 Braided Chicken Skewers with Peanut Sauce - (Pictured above) Marinated overnight, the skewers are perfectly seasoned. The peanut sauce has hints of all types of flavors: spicy, sweet, salty. Grill the chicken for just a few minutes and they're ready! Slow Cooker Lemon and Garlic Chicken- This is a naturally gluten free dinner for the lazy chef. Throw it in the slow cooker and let it go for one of those fool proof dinners that tastes wonderful. 6 Step Strawberry Balsamic Chicken - This juicy chicken is complemented by fresh summer strawberries.You can make this chicken recipe an entire meal by serving the chicken over a bed of greens. It's perfect for any summer time get-together. If you like these gluten free summer dinners, then you'll love these super easy pasta dishes. 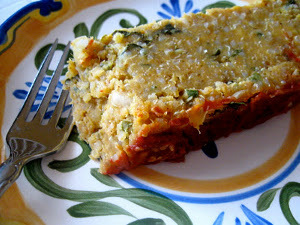 Sweet Potato Lentil Quinoa Meatloaf- (pictured above) Have a feast with this gluten free one pot wonder that packs protein, grains and vegetables all in one. Dishes are easy for this vegan dinner and everyone can and will eat it up. 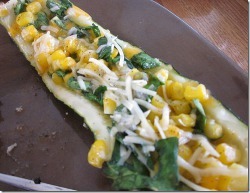 Zucchini Boats- Be ready for any vegetarians that join you for dinner with this wheat free, meat free meal. Brighten up the dinner table with a delicious and healthy feast that will become a family favorite. Tomato Creamy Baked Penne - Take your favorite gluten free pasta to a whole new level. The creaminess will be captured in every bite. These ingredients are easy to find which makes this a no hassle gluten free dinner that even your toughest critics will love. Stuffed Pork Loin- Have a dinner dish that will make you feel as though you're in Greece. You'll love how moist and tender the pork is on the inside almost as much as you'll love the surrounding crust. Eat up this amazing summer gluten free dinner. Rosemary Orange Braised Lamb Shanks- Every flavor you could ever want comes together with this decadent summer gluten free dinner that is perfect for any occasion. Enjoy every bite of this gluten free lamb entree that pairs well with your favorite wheatless side dish. Seared Scallops over Black Rice- No need to be intimidated by seafood. This wheat free recipe cooks up in under 30 minutes. This is a wonderful summer dinner that will take you right to the Cape. 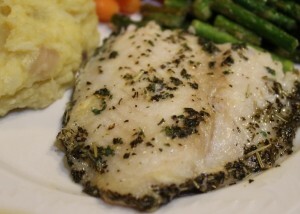 Lemon Basil Catfish-(pictured above) Dinner time shouldn't be a struggle, and it isn't with this gluten free seafood dinner that uses only 5 ingredients. Have a heart healthy plate of flavor with this fish meal. Skirt Steak with Chimichurri- Skirt steak is a great cut of beef that's easy on the wallet as well as the chef preparing it. After marinating to soak up the flavors, this gluten free steak will cook up quickly. Want even more simple dinner recipes? Here are 16 easy weeknight dinners that would be perfect for you and your family.